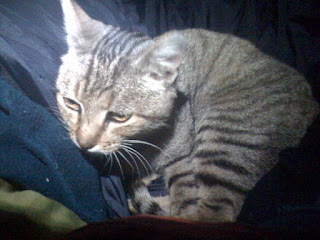 Tonight we have acquired a kitty to sleep in our tent. Much more purry and less smelly than last night's occupant. Not Stuart, the dog.